The composition of underground layers can vary considerably. The way in which groundwater flows through the earth, the characteristics of this water and the soil layers are studied to determine its suitability for energy storage or heat extraction. For shallow geothermal energy solutions as ATES, we focus on the aquifers and the groundwater characteristics, which will be important for a reliable design of the wells and the long term working of the ATES system. For the application of deep geothermal energy a geological framework can be provided from quick scan level through to a geological framework consisting of petrophysical, geophysical and geochemical analyses. The latter ensures that the well design and drilling techniques meet environmental, technical and performance standards. This results in optimal extraction of the available heat with minimal risks. 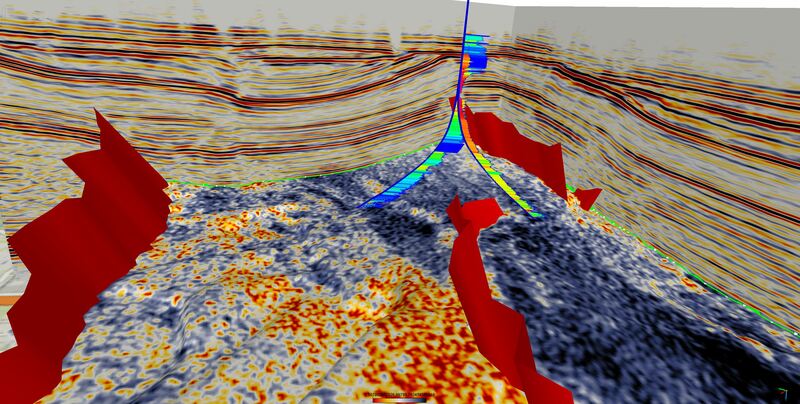 A geological framework including fault geometry and stratigraphic interpretation is built by our 2D or 3D seismic data interpretation and off-set well data interpretation. We also provide processing and interpretation of MT surveys. The geochemical investigation looks at the composition of the water in the reservoir. Chemical models are used to determine the effect of geothermal techniques on water quality and in particular the chances of precipitation reactions in the water. The above mentioned geological framework combined with our geomechanical models including well test analyses and reservoir stimulation (see modelling services) allows us to provide you with an overview of the geological risks and uncertainties to aid the optimization of the business case as well as aid in applying for insurances/funds. This includes drilling risk and (quick scan) seismic risk assessments. In addition, we provide field development plans of the reservoir geometry and characteristics.